Fresh out of the oven of creativity! 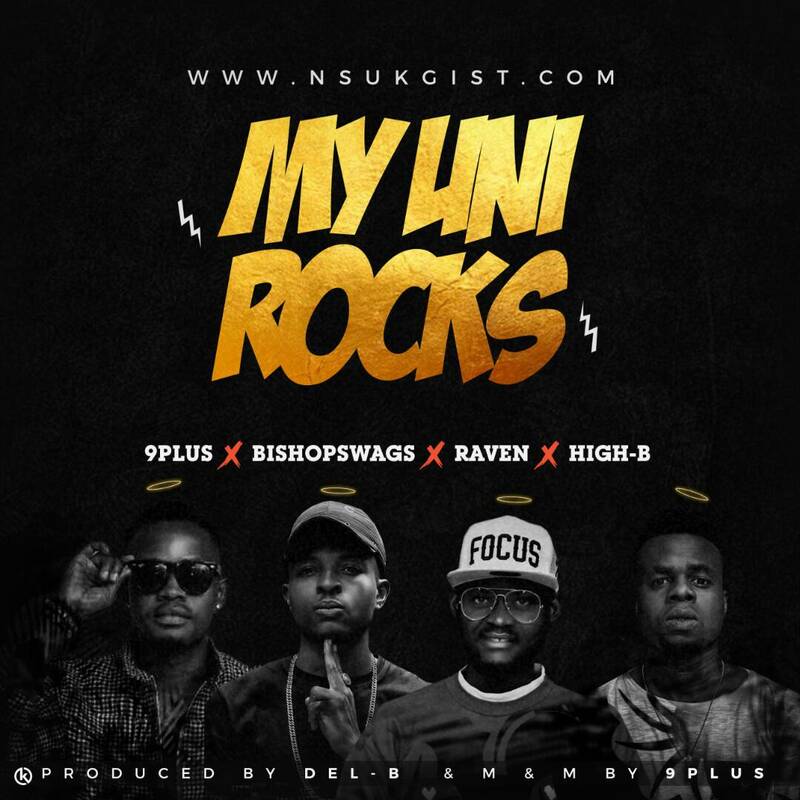 MY UNI ROCKS-The highly anticipated single produced by one of Nigeria's best producer- Del'b finally drops with a Bang and it's sure to blow your mind. From the sublime touch of 9plus to the hard bars of Bishopswagg and sleek flows of Raven then capped with the Classic High-B. This banging joint is bound to be on the lips of many for a very long time. This one is for you NSUK..you truly ROCK.